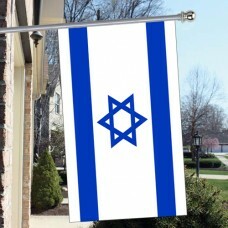 The Israel flag features a white field with a blue horizontal line at the top of the flag and a blue horizontal line at the bottom of the flag. In the center is a white band of color with a blue hexagram inside it, referred to as "Magen David" (The Star of David). The blue color represents glory and purity and the white color represents "Divine Benevolence." The blue stripes are used to represent the "Ashkrenazi Tallit" which is a Jewish prayer shawl that is white with blue stripes and the Star of David is a very important symbol of Judaism. 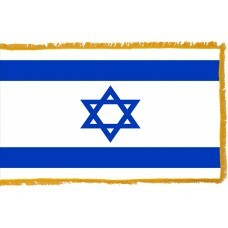 The Israel flag was adopted on October 28th, 1948 after the country became the "State of Israel." 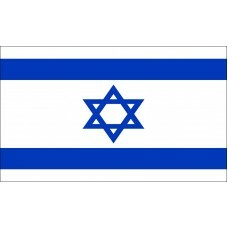 Israel is the only Jewish state on Earth. 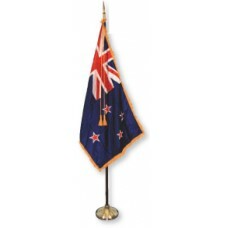 It is a country that has survived a lot of revolution, and invasions to become the independent state that it is today. The country was under the rule of the Roman Empire for many years until it was conquered by the Ottoman Empire in 1516. In 1920, following World War I, when the British defeated the Ottoman Empire, Israel was divided between the British and the French and the British area was called "Mandatory Palestine." By the end of World War II (where 6 million Jewish people were killed by Hitler), there was a lot of conflict between the British and the Jewish community as many of the holocaust survivors were seeking refuge in Palestine but were refused entry by the British who sent them to detention camps. As a result of this, on July 22nd, 1946, the British Palestine headquarters was attacked which has been referred to as the "Most lethal terrorist incident of the 20th Century." 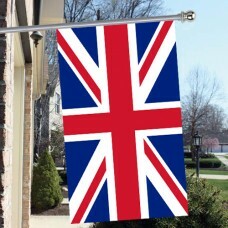 In 1947, the British government withdrew and Israel finally gained its independence in 1948. Israel is located in Southwestern Asia and shares borders with Lebanon, Palestine, Jordan, Syria, Egypt, and the Dead Sea. The capital of Israel is Jerusalem which is also the largest city and the second largest city is Tel Aviv. Jerusalem is considered to be a very holy city. The majority of the Jewish believe that the Messiah will one day appear here as well as the Christians believing that Jerusalem is where Jesus Christ rose from the dead. Jerusalem is also one of the oldest cities in the world and the most visited with approximately 3.5 million tourists visiting a year. The main attraction of Jerusalem is the "Old City" that is a walled area located in the modern city of Jerusalem. The Old city is home to some of the most beautiful and historic monuments, which include, "Temple Mount" and the "Western Wall." It is divided into four parts, which are the Muslim Quarter, Christian Quarter, Armenian Quarter, and the Jewish Quarter. Another very famous attraction in Israel is "Masada." It is an ancient Citadel built by King Herod in 30BC located on top of a rock plateau and it overlooks the Dead Sea. The ruins include King Herod's palace, Roman-style bathhouse, and the Masada Museum.